Video: Henderson’s Larry Jones wins his fourth Fair Grounds Oaks as Street Band gives Sophie Doyle the biggest victory of her riding career. NEW ORLEANS, La. 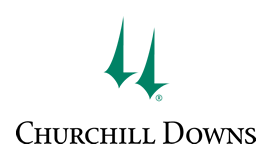 (Sunday, March 24, 2019) — Chester Thomas of Madisonville, Ky., is headed to the Kentucky Derby after his 3-year-old colt By My Standards captured Saturday’s $1 million Twinspires.com Louisiana Derby by three-quarters of a length over Spinoff, paying $47 to win under jockey Gabriel Saez. The Grade 2 stakes saw 4-5 favorite War of Will struggle home ninth after pulling a hind-end muscle shortly after the start. 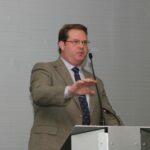 Thomas lives 40 minutes from Ellis Park, which the businessman and entrepreneur considers his hometown track and where he is a two-time leading owner. He hooped and hollered as he led By My Standards in tight circles on the track before bringing him into the Fair Grounds Race Course winner’s circle. By My Standards provided Thomas’ Allied Racing its first graded-stakes victory. By My Standards capitalized on his one shot to make the May 4 Kentucky Derby at Churchill Downs. Starting his career last November 24 at Churchill Downs, he earned his first victory over fellow maidens on his fourth attempt on the day of the Fair Grounds’ Grade 2 Risen Star Stakes won by War of Will. 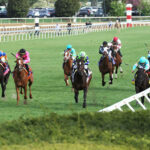 The jump from maiden to major stakes was a route Thomas and trainer Bret Calhoun also took with Mr. Money, who in that next start finished fourth in the $2 million Breeders’ Cup Juvenile last fall. Mr. Money also ran in the Louisiana Derby, finishing fifth. “Usually that’s not our move,” said Calhoun, who won his biggest race with a 3-year-old colt and is looking at his first Kentucky Derby. “You kind of see what they’re up against, and if you’re confident in the horse you’ve got to take a shot. And this was the last shot to get to the Derby. Chester has been great. He’s let me do what I needed to do at every point. If the horse needs time, it gets time. ‘Don’t push this spot or that spot.’ I asked him to supplement the other horse for $100,000 to the Breeders’ Cup. He never hesitated, and the horse rewarded us. He’s really made my job easy. The Louisiana Derby’s 11 entrants were one shy of capacity. Anything over 12 and By My Standards would have been excluded under the stakes’ preference criteria. “We’ve been pretty excited about him all along,” Calhoun said.“I think the maiden win was definitely crucial for him. When he was third the time before he broke his maiden, it was a very disappointing race for us. It looked like he had the race in his control and just didn’t finish them off. We didn’t know where we were going from there, honestly. He bounced back and put them away in his next effort, and that’s when the lightbulb really came on. He was a different horse in the mornings from that point on. His breezes were unbelievable — some fast works there, and none of them were intentional. “I knew were up against it,” he said of the 1 1/8-mile Louisiana Derby, which By My Standards won in 1:49.53. “I didn’t know exactly how we were going to stack up with those kinds of horses. But we knew our horse was doing very, very well and deserved a chance. He had to have a good trip and he had to be good enough. That’s where I thought we were. We got both of those. 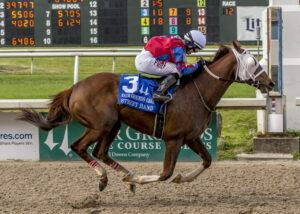 A race earlier, Henderson, Ky., resident and Ellis Park mainstay Larry Jones won the Grade 2 Fair Grounds Oaks for the fourth time, with Sophie Doyle winning the biggest race of her riding career as Street Band surged late in the stretch for a 3 3/4-length victory over Liora. The Fair Grounds’ Grade 3 Rachel Alexandra winner Serengeti Empress, the odds-on favorite who last year won the Ellis Park Debutante by 13 1/2 lengths, set the pace but faded to last of seven after experiencing an episode of pulmonary hemorrhaging known as bleeding. Jones trains, co-bred and co-owns Street Band with wife Cindy Jones and their partner Ray Francis. Street Band became the latest graded-stakes winner to come out of Ellis Park’s 2-year-old program, capturing a maiden race at the track last summer. Jones was in Arkansas Saturday with his Oaklawn Park division, but he’ll be on hand for the next one, as Street Band could give him his fourth victory in the May 3 Kentucky Oaks. 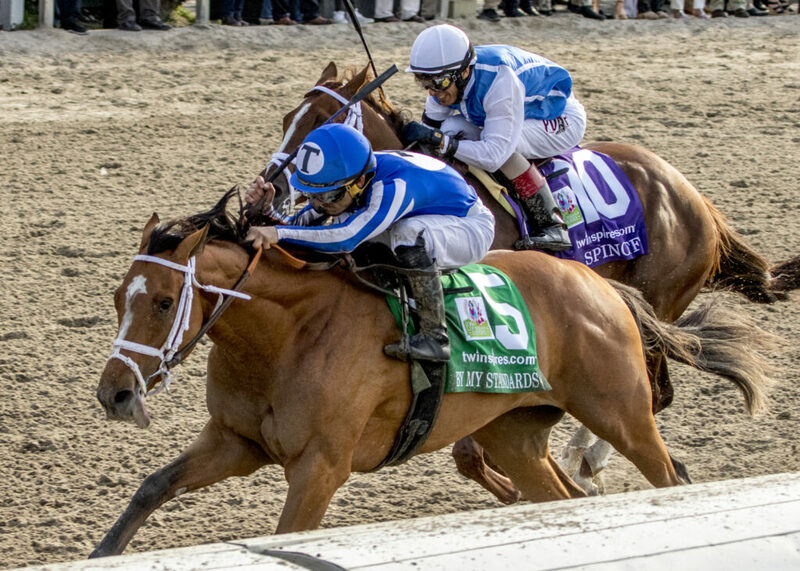 Doyle’s only prior graded-stakes victory came in 2015 in Keeneland’s Grade 2 Thoroughbred Club of America with 17-1 shot Fioretti, who a race earlier finished second in Ellis Park’s Grade 3 Groupie Doll.